A building’s waterproofing membrane is the final line of defense between the destructive power of water and the vulnerable material of its foundation. When the integrity of an entire structure depends on a dry foundation, investing in a high-quality waterproofing membrane is a wise choice. FUSION UV Waterproofing Membrane, Mar-flex’s top-of-the-line residential waterproofing product, sets the global standard for strength and dependability. Mar-flex is so confident in the durability and protective power of FUSION UV that we offer a 20-year warranty on the product, even when it is not paired with a drainage board. When FUSION UV is installed as part of an approved drainage system, Mar-flex guarantees its integrity with a limited lifetime warranty. FUSION UV Waterproofing Membrane is so powerful because it is made of 100% virgin polymer, meaning the waterproof polymer in FUSION UV has never been used in another product. Virgin polymer improves FUSION UV’s performance and product consistency when compared to membranes made of recycled polymer. 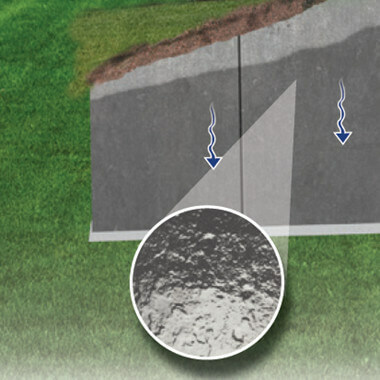 This premium membrane resists acid rain, salt spray, freeze-thaw cycles and all types of weathering. What makes FUSION UV unique, however, is its resistance to ultraviolet radiation and lasting color stability. 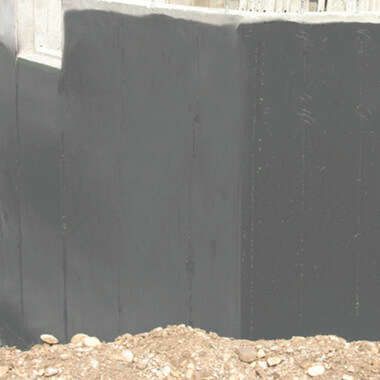 Fusion UV Ultraviolet Radiation Resistant Waterproofing Membrane, unlike other waterproofing membranes, FUSION UV can be applied above-grade as well as below grade, lending durable waterproofing and UV resistance to an entire structure. Remember, although FUSION UV is a waterproofing membrane of incredible strength, it is still more effective as a component of a waterproofing system. Pairing FUSION UV with an approved Mar-flex drainage board extends the membrane’s warranty from 20 years to “limited lifetime.” Use the chart below to determine your ideal level of protection. Coverage Rate – 2.5 gal/100 ft.